The number — and variety — of after-school programs that are available for kids has skyrocketed over the last few decades. “We’ve seen an explosion of what I call ‘hyper-competition,’ meaning there are more opportunities for kids to compete at younger ages and across a wider range of activities than before,” says Hilary Levey Friedman, Ph.D., a Harvard sociologist and author of Playing to Win: Raising Children in a Competitive Culture. Kids now zero in and “specialize” in a specific activity as early as elementary school. Why? Here’s one reason: The fierce competition for college admissions faced by today’s high school graduates is creating anxiety even among parents with young children, says Levey Friedman. By honing their children’s nonacademic skills, parents hope to give their kids a competitive edge — even though the college admissions landscape may look entirely different years from now. But many students don’t identify this interest until high school, and parents shouldn’t panic if their child still hasn’t discovered a passion by middle school. Murphy suggests parents provide kids with an introduction to a variety of opportunities — and let them try out an assortment before they hone in on one. Musician Jeff Brown, who recently recorded his first album at age 24, says that having the opportunity to experiment with different activities helped him realize that music was his passion. When he’s not performing with his band, Ghost Town Riot, Brown teaches drums and guitar at Spotlight Studios in Woodinville. Sports were his focus in elementary school, yet he decided to specialize in music at age 12, after a relative gave him a drum set. But what about the child who focuses — very early — on a single activity? Sammamish mom Barbara Whitney faced this dilemma with her daughter Miranda. When she caught Miranda, then 5, doing flips midair from the fireplace mantle to the couch, she decided gymnastics might be a great way to channel some of that energy. Miranda took to gymnastics immediately; it didn’t take long for her coaches to recognize she had talent. They began to prepare her for competition at age 6. Whitney was shocked. “This was not on our radar at all. We just wanted something fun for her to do,” says Whitney. Miranda advanced to the rigorous Junior Olympic program, and by age 10, she was practicing four hours a day, four days a week. University of Washington research psychologist Jamila Reid, Ph.D., says parents should consider the impact that a “specialized” activity might have on their young child. “Is this a child who really loves whatever she is doing? Is she able to complete all of the other things that need to be done, whether it’s homework, downtime or socializing? If so, then that level of commitment to the activity might be fine for that child,” she says. Gauging how a child feels about an activity is not always easy, however. Children can seem committed one day and the next day, not so much. What about the talented (and suddenly less committed) tween, whose initial enthusiasm and persuasive powers convinced her parents that investing time and money in the sport team or dance team or art course would be a good idea? When interest wavers, parents should remind kids about the commitment they have made — and that it’s important to see it through, says Reid. But if getting to practice is a continual struggle, parents may want to rethink that activity. “And consider how the family, as a whole, is affected,” she says. If a particular activity is causing stress for parents or siblings, for example, it might make sense to wind that one down. When Miranda hit a roadblock in a required balance beam skill, her intensive gymnastics schedule began to wear on her. Miranda, now 13, has regained her confidence, and is excited to go to her rec/op practices and competitions, says Whitney. Some kids lose interest in an activity altogether. And for a child who has been specializing and developing proficiency in a sport or other endeavor, quitting can be emotionally difficult, even if it’s by choice. “It will probably be devastating at first, and it is OK to let your child be sad for a while. Then encourage them to start thinking about other ways they can use that talent,” says Reid. After watching their child excel in an activity, parents may feel conflicted about quitting, too. Woodinville mom Beth Hage learned this when her son, Zachary, became overwhelmed by his intensive chess class. He’d placed first in a local tournament and 13th in the state championship, and Hage says it was difficult to see him completely lose interest after showing so much promise. Laura Mackenzie is a freelance writer. She lives in Redmond with her husband and two kids. For more about Mackenzie, see Break From the Burbs. Stay tuned in to your child. Kids’ temperaments differ, and what is overwhelming to one child may be fine for another. Evaluate whether this activity is making your child’s life happier on the whole, or if it’s stressful. Don’t be afraid to change your mind. If your child is excelling in an activity and is enthusiastic about advancing to a more intensive program, give it a try. If that becomes too much for your child, it’s OK to go back to a program with a lower time commitment or less pressure. Give your child choices. Some children take longer to find a passion. If your child doesn’t seem to enjoy team sports, try some individual ones. Children may not know that some of these activities exist, so expose them to lots of different options. Kids develop at different rates. There are early bloomers and late bloomers, so keep an open mind. If you build your life around the idea that your child is going to be a prodigy, it may be devastating down the road if that doesn’t happen. Kids may need breaks. 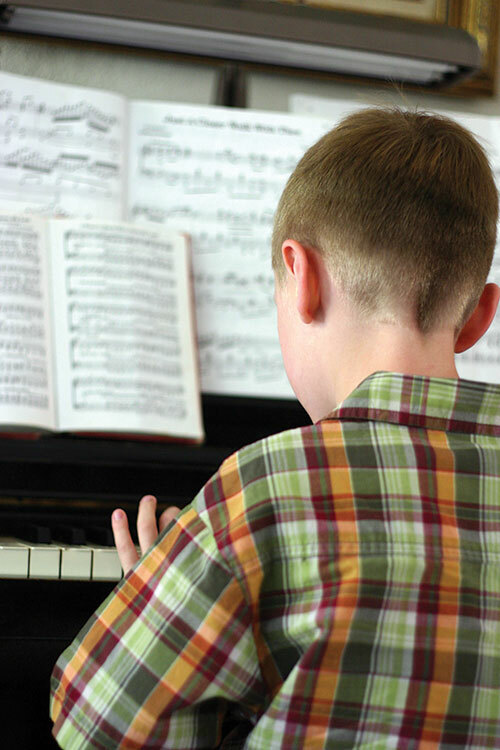 Even children who are quite passionate about an activity may want to explore other interests. Don’t rule out that activity just because the child takes a break from it. If the talent is there, they’ll probably come back to it one way or another.